Joe Biden Showed Junior Where the Bear …. A rare vantage point within their habitat, the male combatants eye each other before battle. For whatever one may think about politics in America, the real range of the two parties or other details. Tonight was the night to see an experienced man armed with conviction take down a man who has so far this election toppled the scales for sheer, absolute dishonesty. In a culture that worships youth and frets constantly about age lines and tendency of the slower moving senior set, its always rich to see an oldster whip a younger. So it was tonight with Joe Biden, Ryan’s senior by at least 30 years (Ryan was 2 years old when Biden was serving in the senate). 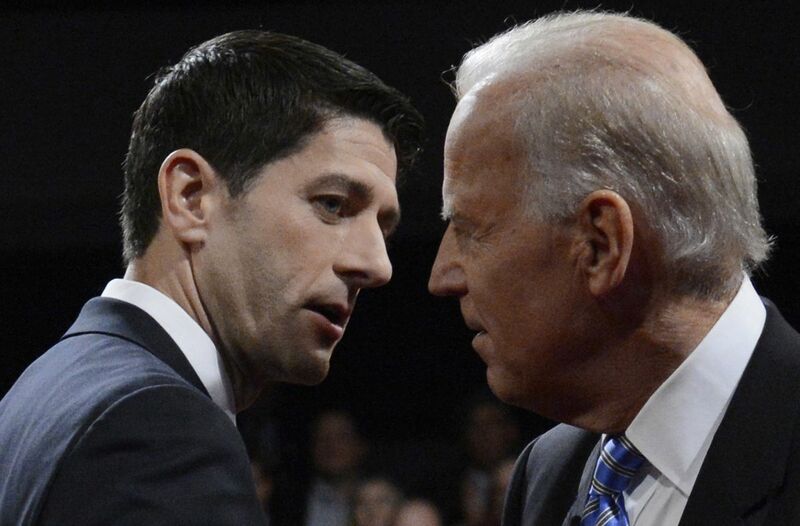 Biden’s saucy confidence and his absolute intolerance for Ryan’s efforts to tell his distortions was entertaining. Biden’s lecturing on income inequality was refreshing, if yet again we have to suffer through the Democrat’s love of parsing out the middle class as their target of choice. Why not just say working people or possibly just distinguishing the lump that is the proletariat from the near royalty that rule this country — and even rule their office as policy is any indicator. But, we’ll take from them what we can get and enjoy it while we continue our work on the ground moving issues for all people save for those who see humans as nothing more than units of production, investments or commodities for potential profit. Joe Biden exemplified the attitude all citizens should have when a plutocrat proposes that they work harder for them, should sacrifice for them, should die for them.